Those who take the good with the bad are people who are solid and happy. Maria Isabel “Maribel” Lopez belongs to this group of self-starters. 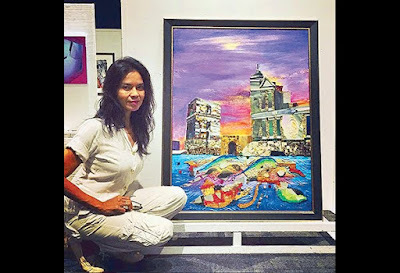 Years after organizing exhibits with fellow artist-beauty queens, Maribel is finally mounting a one-woman show of her mosaic art at the Passion Arts Gallery, fourth floor, SM Megamall Art Walk starting Oct. 19 (it ends Nov. 2). The exhibit, dubbed as Body & Soul, is her first one-woman show. “I used to be afraid about people rejecting my art. 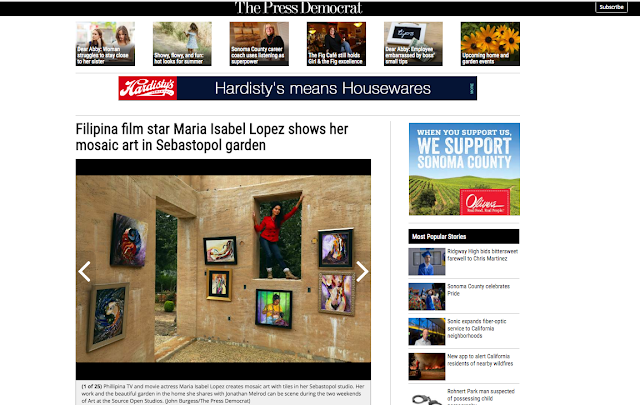 That’s why it took me decades to have a solo exhibit,” Maribel admits. But Louie Ignacio, himself a visual artist, believed in her. He told her she can do it. This, plus her faith in herself, made Maribel gather her mosaic art, the earliest of which used found objects — river pebbles, sand mortar, shells and natural stones — and presented them to the powers-that-be in the gallery for consideration. Her work, Maribel recalls, passed through the proverbial eye of the needle. 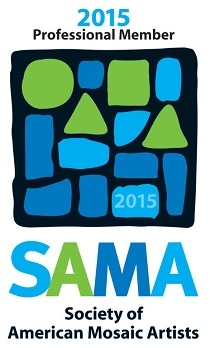 Being a celebrity is no guarantee that your works will be approved for exhibition. But she took the risk. “I told myself there’s no reason for me to be afraid. I love and approve of myself. So rejection doesn’t matter to me anymore,” says Maribel. So, Maribel decided to plunge herself into doing what she loves most. Her background as a graduate of the UP College of Fine Arts (major in Advertising) shows where her heart belongs. She studied mosaic art, Ravenna style, at the Chicago Institute of Mosaic Art. Visual arts makes Maribel feel good, not because others like seeing her work, but because it’s where she finds fulfillment. “There’s a difference between happiness and joy,” Maribel points out. Joy, she explains, comes from within. It’s yours when you’re in the middle of heavy traffic, and you choose to think positive and keep from complaining. “Joy is important to me, even if outside forces are not good, or even if life is smooth-sailing,” Maribel goes on. So, she exercises regularly to produce happy hormones or endorphins that fight stress. She expresses herself in art instead of bottling up feelings — good or bad. No wonder Maribel doesn’t succumb to depression, even when the chips are down. She doesn’t sulk if she has no movie to shoot. She may not be the lead star of the Philippine entry to the 2017 Oscars Ma’Rosa (Cannes Best Actress Jaclyn Jose is). But that didn’t keep Maribel from trending on social media when she turned heads in her emerald green Albert Andrada gown. Still, she wants to let everyone know looking good matters. Yes, her boyfriend — an art patron and human rights lawyer — makes her happy. But you won’t see Maribel wearing a long face or acting like it’s the end of the world if he’s not around. Maribel knows she can assume many other identities. She’s a mom (to actress-surfer Mara Isabella Yokohama). She’s an actress. She’s an urban agriculturist who cooks what she plants. No wonder, Maribel continues to bloom — be it on the Cannes red carpet or inside an art gallery.